I'm heading to Canada in April! 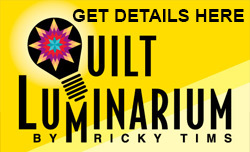 Find out more as you listen to Canadian Quilt Talk - and it's not just for Canadian quilters! Canadian Quilt Talk is the podcast from quilting to fiber art and everything in between and right now I am making an international splash with my upcoming spring tour hitting four cities in Canada. You’ll hear all about it on Episode # 69 of Canadian Quilt Talk, which airs Jan. 29th at 4PM Pacific Time. Canadian Quilt Talk hosts topics that appeal to a worldwide audience with the latest tips, tricks, trends and quilting experts. It’s all free, all the time so listen in while you walk, while you drive or most importantly, while you quilt! 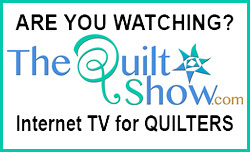 To choose from the first 69 episodes featuring dozens of quilting topics and experts, just go to www.brandylynndesigns.com and click on LISTEN NOW CQT. Host, Brandy Lynn says, "As always, Ricky was such a great interview. 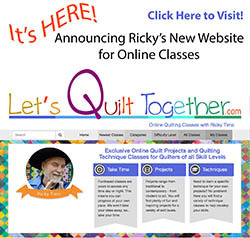 He shares the latest on his passion for teaching, quilting and photography, plus he outlines his new series of online workshops."